Summer is heating up, and there are all kinds of nice updates this week. Google+ turned 6 this week. The celebration was a bit quieter than last year, but there was a nice update, making it easier for Community moderators to remove spammers and other unwanted commenters. There was also another interesting Google+ Collections 101 panel. Watch it to help take your Collections to the next level! There were some tasty announcements at the YouTube Creator keynote at VidCon last weekend, including Comment Topics and Super Chat availability in more countries . There is also a redesign of Creator Studio in the works, and you can apply to get early access to YouTube Studio Beta. Google Photos rolling out suggested sharing and shared libraries, which were announced at Google I/O in May. Google News has been redesigned "with a renewed focus on facts, diverse perspectives, and more control for users"
G Suite accounts are now compatible with Project Fi and there will be a new compatible phone at "mid-tier price" later this year. Facebook now has two billion users, and ask they “celebrate community”, they are still trying to figure out how best to reduce spam and false news in your News feed, and define hate speech. This has sparked a lot of discussion, so be sure to check out the myriad of FB links below. If that’s not enough, there are also updates and tips for Blogger, AdSense, YouTube, YouTube Gaming Live Streaming, and much more. 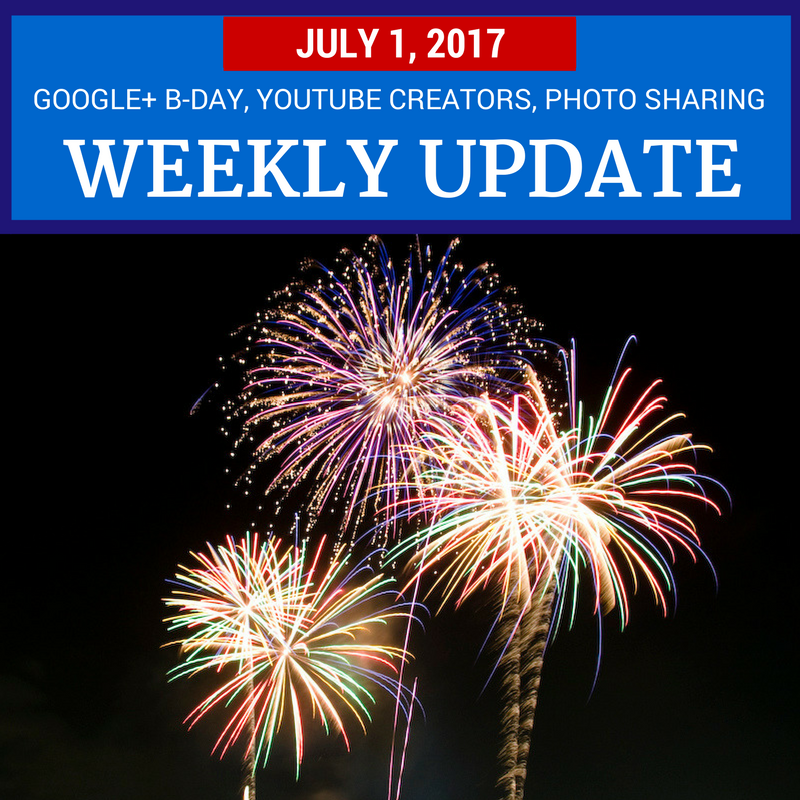 Not much going on this week, likely due to the July 4th Independence Day holiday. Hello Peggy K : THis my account adsense Review site 3 Days ? but review site 1 month. can you help me. this is my adsense Details.